Watch over 25,000 episodes and 15,000 hours of latest and hottest Anime one hour after TV broadcast! 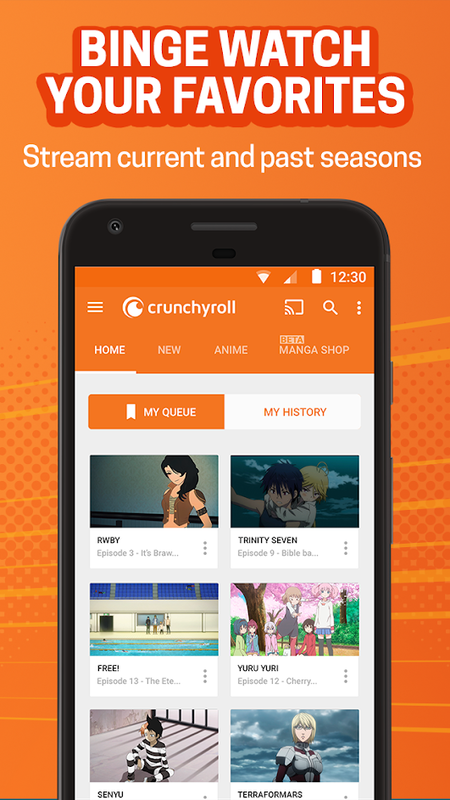 Enjoy the current season and catch up on classic episodes of your favorite shows like Naruto Shippuden, Attack on Titan, Bleach, Kill la Kill, Blue Exorcist, Hunter X Hunter, and many more. 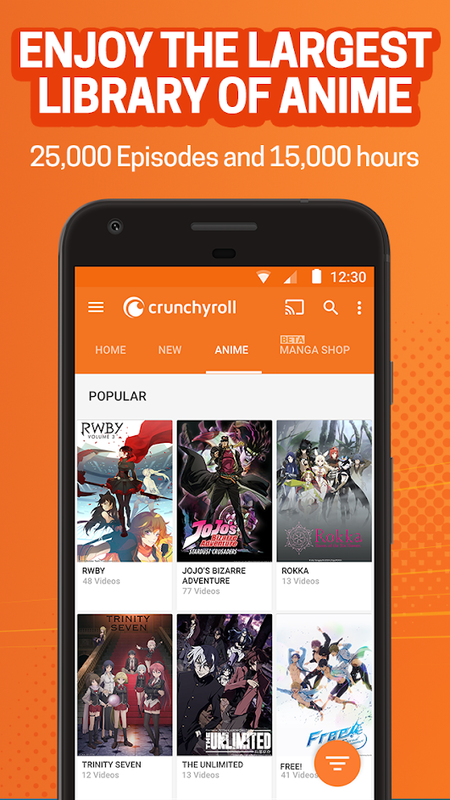 All you need to do is to download the app and everything its ready to start watching your favorite anime immediately for free (no membership required). The application supports many languages and all videos will automatically play on the language you applied on your app menu. The app its easy to use and very intuitive. 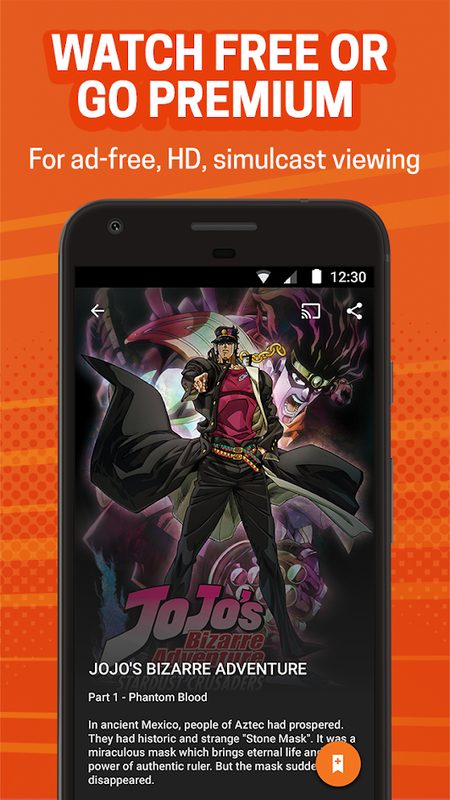 You can queue your desired episodes anytime and cast all the content to your Chromecast device. Note: The app features too many ads, but you can easily remove them by becoming a premium user.